What is an insurance carrier to a business owner? Opinion: KMRD Partners President Kevin McPoyle argues that insurance should be viewed as an engine of a greater, broader economic renewal rather than the cost by business owners of all stripes. At the same time, he encourages insurance industry participants to take their responsibilities seriously and to carry out their roles in economic growth with pride. For any business owner who hasn’t taken the full measure of his or her insurance policy, the check he sends to a carrier often appears to be nothing more than a burdensome expense. As with many expenses, the least expensive policy becomes the best one. 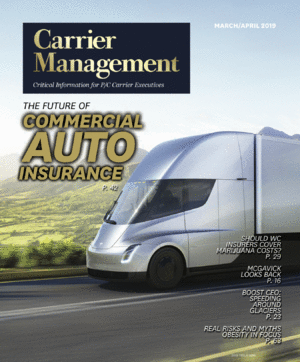 For those who recognize the full value of insurance as a concept and tool, though, carriers are recognized as numbering among their most important business partners. Risk transference provided by carriers frees business owners to take risks. For a retail store owner, this freedom begins with the ability to hang the “Open” sign in the window each morning. In fact, insurance coverage also provides this same store owner with the confidence to drive away from his store each evening. For a factory owner, this freedom begins with the ability to flip the switch each morning. For a service business, it begins with the ability to offer advice, provide guidance or execute even the simplest task for a client. For an online company, it begins with the ability to collect personal information from a client.